Balancer for Feeding: What is it and How is it Helpful for your Horse? Equine nutritionist, Shannon Pratt-Phillips, Ph.D., explains and how and when to use ration balancers. Feed or ration balancer is a concentrated source of protein, vitamins and minerals that may be added to a horse’s diet to round out his intake when he is fed solely hay, or hay and a cereal grain, or isn’t being fed a commercial feed in amounts sufficient to meet the horse’s requirements. 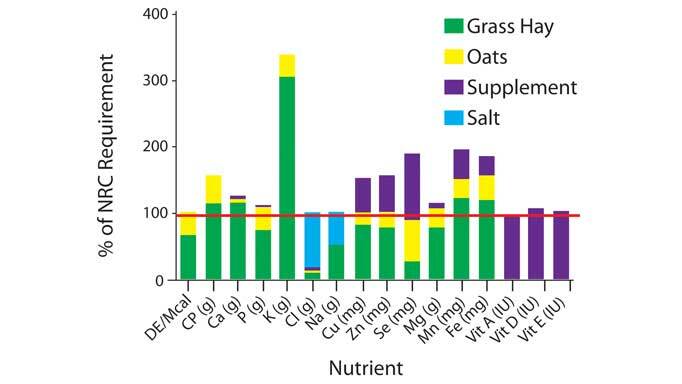 Balancers have higher percentages of several nutrients, including protein, calcium, phosphorus, etc., but are intended to be fed in relatively small quantities. 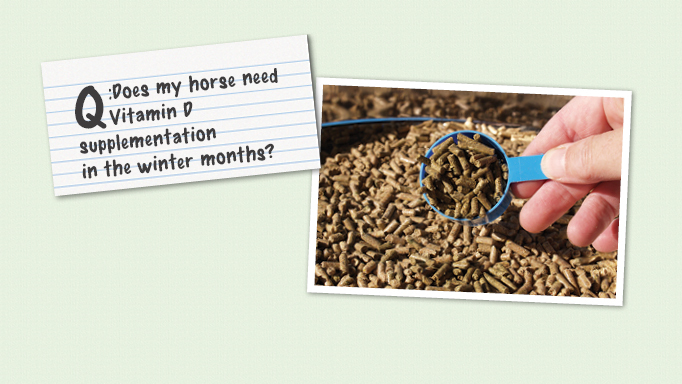 The key thing to remember is that horses do not need nutrients in percentages – i.e. they do not need “10% protein.” They need GRAMS of protein, or milligrams of zinc, or megacalories of energy. 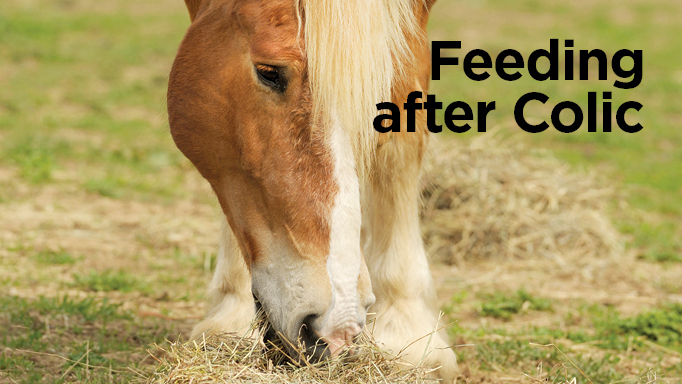 For example, a horse feed can contain 10% protein and 0.6% calcium, and you might feed your horse 3kg of it. This would give 300 grams of protein and 24 grams of calcium. 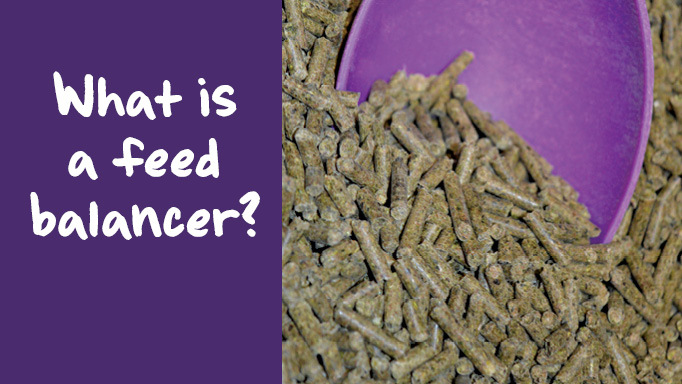 In a feed or ration balancer, you might find 30% protein and 3% protein, and you may only feed 1kg of it. This would provide the horse with 300 grams of protein and 30 grams of protein. So, the trick to ration balancers is that you do not have to feed very much of them, usually 1kg or less per day. They can be mixed with a cereal grain – such as oats – to make more of a complete feed for the horse (in addition to hay, of course). Feeding a ration balancer is helpful for horses that do not have very high requirements, such as idle or lightly worked horses, that can meet their energy requirements through hay alone. They may also be fed to the overweight/obese horses that might have limited intake of hay to facilitate weight loss. However, even 0.5-1kg of a ration balancer can still contribute 1.5-3.5 mcal to the horse’s diet, and might limit the amount of hay they can get. In these cases, I prefer to make my own “ration balancer” by mixing a vitamin-mineral supplement (fed in an ounce or two) and soybean meal or casein – protein sources which can be purchased at a feed store. Soybean meal is left over from soybean industry (after getting the oil) and casein is milk protein. 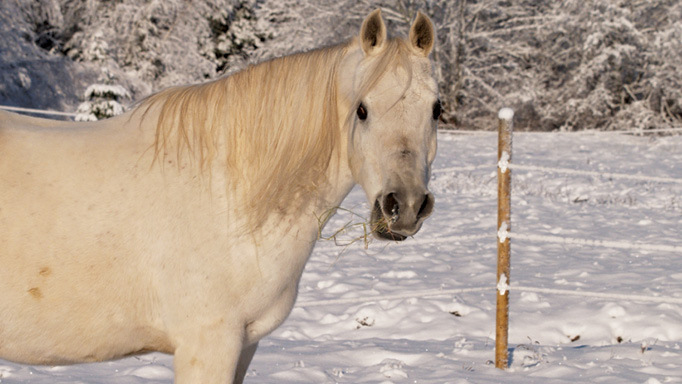 Shannon Pratt-Phillips, Ph.D., gives diet advice for geriatric or retired horses.